This is part one of a two-part blog series discussing Salesforce.com’s strategy to help SMBs better capitalize on technology. This first post provides perspectives from several Salesforce SMB customers on how they are rethinking their business models and using technology to get ahead. The second post, Salesforce’s Strategy to Bring Game Changing Technologies to SMBs, provides a detailed glimpse into Salesforce.com’s approach in the SMB market. 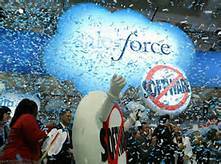 Each year, the festivities at Dreamforce, Salesforce.com’s annual user event, intensify. At Dreamforce 2014, the entertainment ranged from musicians as diverse as Bruno Mars and the Beach Boys; politicians as similar as Hillary Clinton and Al Gore; Hawaiian blessings and hula dancers; and Salesforce’s erstwhile mascots, Chatty and SaaSy. Beanbag chairs, giant chessboards, free pedicabs, and lots of liquor-fueled parties added to the carnival-like atmosphere. Salesforce sees SMBs as being uniquely suited to use cloud, mobile and social technologies to create new business models and to win customers over from larger, but often slower-moving businesses. As discussed in SMB Group’s Guiding Stars: Vendor Strategies to Bring Game-Changing Technology Trends to SMBs report, Salesforce is in violent agreement with other technology vendors. The nine major vendors we interviewed for the report (including Salesforce) all view cloud, mobile and social as providing SMBs enormous opportunities to gain business advantages. With customers and prospects racing into the digital future at breakneck speed, SMBs that use technology to stay ahead of their customers will thrive, while those that don’t face extinction. In reality, this segment represents only a tiny fraction of the SMB universe. But, from my perspective, they zeroed in on how businesses of all kinds can think about and apply technology to improve business outcomes. The heat is on for all companies to provide a great customer experience for obvious reasons. Unhappy customers are likely to stop buying and share their dissatisfaction, costing your business money. Happy ones are likely to come back for more and recommend your business to friends and family. Social media of course, amplifies the influence of customer experience. See what social networks their customers are using, and what they’re saying. Are there trends in what foods people want, such as kale or quinoa (they are in San Francisco!)? 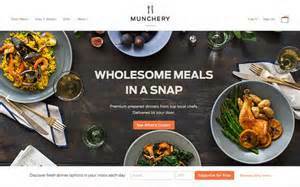 Once Munchery spots these trends it integrates them into marketing and meals. Intake cases from Munchery’ mobile app to adjust orders on the fly and respond to them. Munchery can provide great service, and happy customers can also add an extra tip if they’d like. This responsiveness is helping Munchery turn customer problems into opportunities, and create evangelists. Streamline internal communications. The company’s 100 drivers use Desk.com to communicate back to headquarters to help optimize routes and deliveries. Accessing, analyzing and acting on data can give SMBs a big advantage over the competition. But building and managing infrastructure to do this takes a lot of time, money and expertise–all scarce resources for SMBs. According to ZenPayroll’s CEO, one-third of SMBs get fined for inaccurate payroll. The three-year old start-up the entered the payroll market, which is dominated by big players such as ADP and Paychex, with a strategy to differentiate by giving users “delightful modern payroll” that works right on day one. While competitors position payroll as a chore, Zen thinks of payroll as employees getting paid and employers showing appreciation. It provides SMBs with a paperless, cloud-based, mobile-first solution in 97% of the U.S. Its 60 employees use Desk.com to solve support issues once, and then take proactive measures to ensure they aren’t repeated. Zen also uses Pardot to automate marketing, sales and nurturing and grow its business, which now processes more than $1 billion in payroll annually. Reeves’ advice to other business owners is to rethink the problem you’re tackling. Getting the right message at the right time to customers at the right time is essential in today’s multi-channel world. In addition, the more personal the message, the less likely it is to end up in the spam filter. Salesforce introduced both a B2B and B2C customer to illustrate the importance of personalized engagement. First Mile told the B2B story. 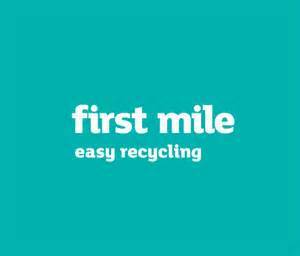 When it launched 2 years ago, U.K-based First Mile saw the recycling market as overcharged and underserved. Its mission is to displace entrenched, inefficient competitors by making recycling easy and responsive. First Mile sees customer engagement as its key to its strategy, and uses innovative business practices and technology to power it. For instance, established competitors require long contracts, so First Mile requires no contracts. While competitors never call their customer except when its renewal time, First Mile makes 100 calls a day to get feedback. The company uses the Salesforce platform and apps to get and analyze recycling stats and help minimize attrition. First Mile’s field sales people also recently began using iPads and Salesforce to directly enter leads into Salesforce, “quadrupling the return on investment from field sales,” over the former double-entry paper and pen to Salesforce method. First Mile’s advice to other SMBs? There are lots of free or low-cost cloud solutions out there. Try the ones you think will help you to find out which ones will give you the return you need. On the B2C side, George Street is putting a new twist on wedding photos and videos by connecting photographers to brides in 50 cities across North America. George Street handles everything but taking the photos or videos. For brides, George Street creates a personalized experience to ensure they have a great wedding photography experience. The company uses several Salesforce and AppExchange solutions, including Pardot, Salesforce and Chatter lead generation, sales and contracts, photographer and shot selection, notifications and sharing photos. George Street has also created a community for brides to talk about everything from cakes to dresses. It helps facilitated last-minute requests, such as a new shot request, with Chatter. Before they used Salesforce, they did a lot of this manually, but by developing a Salesforce app to automate the process, they’ve sped up the process and can provide a better experience. For instance, it used to take 7 days from a bride’s initial appointment with George Street to close a contract, now the average close time is 24 hours. Automation has helped them scale, increasing the number of weddings they handle by 250%. And, they’ve reduced case incidents by 200%. George Street’s guidance for other SMBs is to focus on delivering an exceptional experience. Automate back-end so your people can spend more time with clients, make them happy and generate boost referrals. Finally, if you’re using Salesforce, find a good developer to help you make the most of it. The writing is on the wall for any business: With customers and prospects racing into the digital, mobile, and social future at breakneck speed, SMBs must proactively deploy technology to improve both business processes and the customer experience. SMBs that figure out how to use technology to stay ahead of their customers’ demands will thrive, while those that don’t will face extinction. But there are lots of vendors and solutions out there ready to help you on your journey. Is Salesforce right for you? Read Part 2 of this blog series, Salesforce’s Strategy to Bring Game Changing Technologies to SMBs, to help you decide. Disclosure: Salesforce paid for most of my travel expenses to attend Dreamforce.